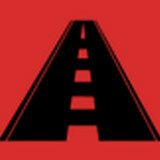 Asphalt Paving & Maintenance is a third-generation family-owned and operated business in Leander, Texas, established in 1991. Owners, Gene and Angela Williams are a husband-and-wife team that have contributed much to their local community. They've raised six beautiful children and are active members in their local community. As self-employed business owners, they're hard working, fast, friendly, hospitable, and committed to quality. They've maintained an A+ Rating with the Better Business Bureau since 2012, and received over 20 five-star reviews on Facebook thus far, primary reasons their business has remained vibrant and expanded out from Central Texas! 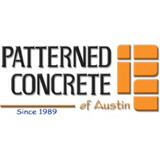 Patterned Concrete provides stamped concrete finishes to residential and commercial clients. Austin's best in the business since 1989! These days, we typically buy everything mass produced. There’s a special group of people, however, who want something unique for their homes and businesses. They look for something not everyone else has. People still love to work with a craftsman to design a one-of-a-kind product. Patterned Concrete is carefully and uniquely hand crafted, making every job exceptionally attractive. Patterned Concrete turns having a floor, driveway, patio or pool deck into a unique and personalized piece of art. Call for your design consultation to be a part of the special experience of concrete. We are an asphalt maintenance company with over 25 years of experience. We handle crack filling, pothole repair, overlays, seal coating and line striping. 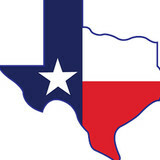 Asphalt Contractors of Austin, Texas and surrounding areas. 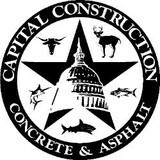 Providing the highest quality of asphalt, concrete and site work has established Capital Construction as the name to trust in Central Texas for hard surface construction. We are Austin, Round Rock, Cedar Park, Georgetown and surrounding areas premier Paving Contractor, specializing in Asphalt and Concrete. Contact Us or Call (737-802-3195) now to schedule asphalt paving for your home, business or municipal. We specialize in residential, commercial and municipal work. If you are looking for Concrete paving and repair Asphalt paving and repair Striping parking lots Sealcoating Excavation and site prep We can do it! Integrity Paving & Coatings is an Austin parking lot paving and parking lot repair company. They work with both asphalt and concrete for paving and maintenance serving businesses and homes from San Antonio to Waco. We specialize in multi-family, hospitality, commercial, industrial, office, and retail properties; providing comprehensive parking lot related services including; seal coating, asphalt and concrete repairs, striping, signage, ADA compliance, concrete curb stops and bollards, etc. Learn more about Integrity Paving & Coatings by visiting them online today! We are licensed and insured. We have over 20 years of experience. We strive to meet your concrete needs and bring all your concrete ideas to life. Equipment Depot are proud to be America’s #1 independent material handling and rental source for products, parts and service. They are 100% committed to service. Thoughtfully designed plans and services that exceeds customer expectations . Real Estate Development in Los Cabos, specializing in the planning, conceptualization and market positioning of real estate product in luxury, master planned communities. Homeowners in Harker Heights often don’t realize just how important a driveway is when it comes to curb appeal; it’s one of the first things guests see when they arrive and one of the last when they leave. So if your front drive is damaged or you want to switch from, say, a gravel driveway to an asphalt one, hire a Harker Heights, TX driveway installation and maintenance professional to help you create your dream driveway. From installation to repair, Harker Heights, TX driveway contractors are responsible for a variety of planning, installation, construction and driveway maintenance services. Driveway materials. While most driveway contractors in Harker Heights, TX primarily work with asphalt, they are also experts on the wide range of available driveway materials. If you are looking for something different than a standard asphalt driveway, your pro can help you select driveway pavers or customize a brick driveway design. A driveway installation and maintenance professional may work closely with a Harker Heights, TX builder, landscape professional or various manufacturers and suppliers. 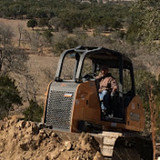 Find a Harker Heights, TX driveway installation and maintenance professional on Houzz. Narrow your search in the Professionals section of the website to Harker Heights, TX driveway installation and maintenance. You may also look through Harker Heights, TX photos to find examples of driveways that you like, then contact the professional or contractor who worked on them.